The i30 SR was designed exclusively for the Australian market. 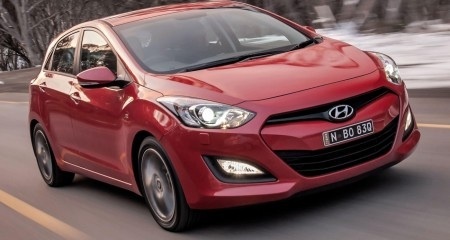 Hyundai Motor Company Australia have lifted the lid on their new addition to the i30 line up. The i30 SR hatch was first previewed at last years Sydney International Motor Show as a concept. 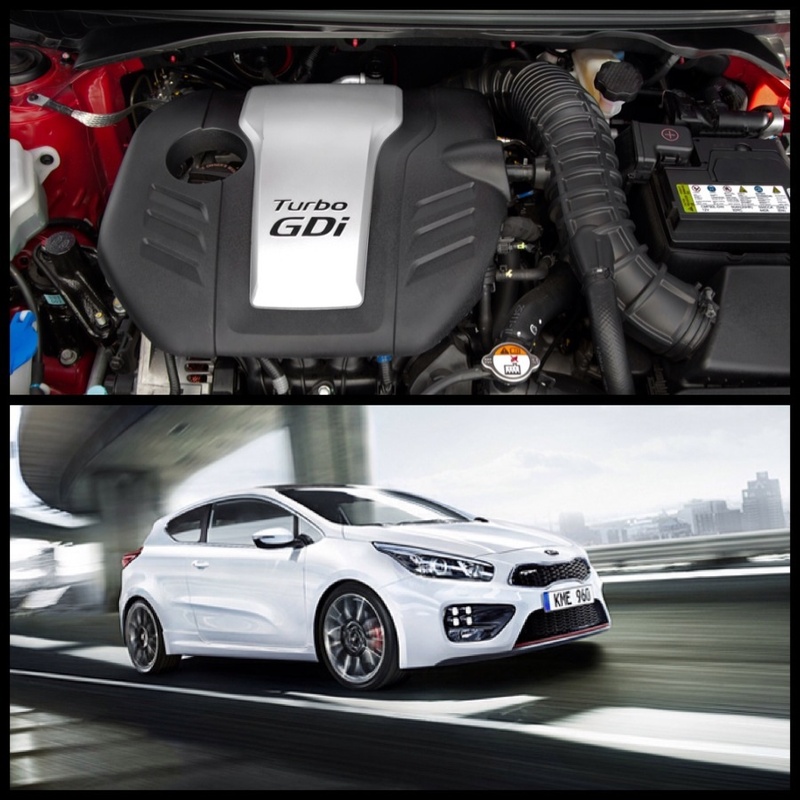 Featuring a larger 125kw 2.0L petrol engine (the regular i30 houses a 1.6L), exclusively tuned sports suspension, and a host of other features, the Australian developed – Korean Hot Hatch has sparked interest in other markets including the UK. Hyundai Australia seem to be throwing the Motorsport muscle behind the branding of the SR name plate with Aussie WRC competitor Chris Atkinson (the test driver for Hyundai’s return to the WRC In the i20) posting live pictures to Instagram from the i30 SR launch in Byron Bay. 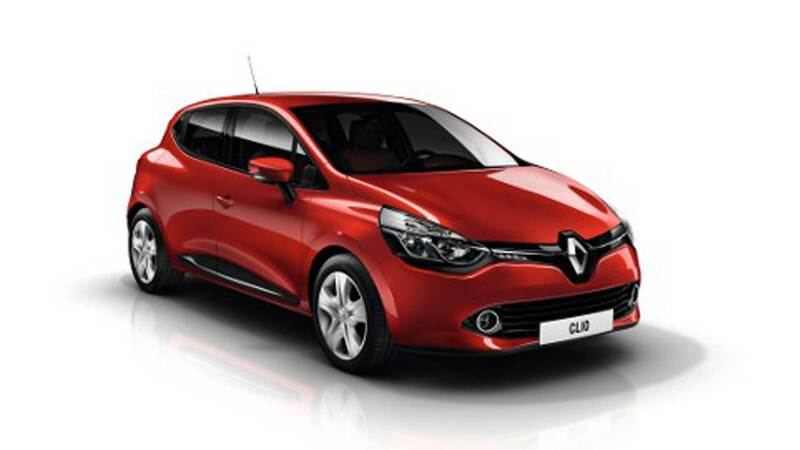 Rumoured to be priced under $30,000 (+ORC) the SR will sit between the mid range Elite and luxury Premium models. The SR nameplate is rumoured to expand past the i30 SR and Veloster SR Turbo to include the addition of a i30 SR Turbo to compete directly with the Golf GTi and upcoming hot hatches from sister company Kia. Well, the reason became apparent to me last week. I was gobsmacked to find out that I have been completely wrong for all these years. It appears that in Australia on a 3-lane freeway, despite the signs, one is perfectly entitled to sit in the middle lane!! The signs ‘Keep Left Unless Overtaking’ really means ‘Don’t use the Right Lane Unless Overtaking’. • driving in a special purpose lane or if there is a Left Lane Must Turn Left sign or a left traffic arrow and the driver is not turning left. So, I’ve been wrong all these years. All this wasted anger and frustration directed to these ignorant law-breakers who it turns out were doing the right thing all along (in a legal sense)! So let me hold my hand up and humbly apologise to all those who have been the subject of my angry feelings and/or glares. I’m sorry. Meekly, I will make a defence that I learned how to drive in the UK and have driven extensively in Europe where ‘middle lane hogging’ is clearly outlawed. Further I will add that the signs used in Australia contributed to my mistake – why refer to the left lane at all when it is the right lane that the law refers to? However, saying all that, I am now even more astounded. It’s not ill-informed motorists doing the wrong thing but the government! What on earth were they thinking? Many road rules in Australia have been adapted from overseas so why take this one and then snip off an important part for no apparent reason. Why on earth did they do it? Traffic Flow. The rate of traffic (cars per hour) is increased reducing congestion. Of course, once it hits a point where all 3-lanes are crawling, you’re stuffed but it takes longer to hit that level if ‘left lane discipline’ is observed. If drivers stick steadfastly in the middle lane, it tends to turn 3-lane freeways into 2-lane motorways. In general drivers will (sensibly) prefer to overtake on the right fearing meeting some particurlarly slow traffic in the inside lane and getting ‘boxed in’. So the left lane gets under-utilised – the only users being the most diverse groups – the very slow and the very fast and impatient. Speed Differential. This is the big one in my opinion. Think about any accident and you’ll see that two objects travelling at different speeds is what caused the accident. The bigger this difference the more dangerous it is (eg a car at 80km/hr hitting a tree at 0km/hr). We’ve all had the experience of coming up to the crest a hill and having to brake relatively hard as a heavy vehicle crawls up the hill at snails pace. Traffic entering main roads from side roads is often a high risk accident zone for example as the car entering may not always attain the prevailing speed fo the main road in time. So when you allow middle lane hogging, and left lane overtaking, you combine some of the fastest speeds with some of the slowest! You have speed freaks mixing with flat-capped, caravan pulling Sunday drivers in the same lane! Look at the example of the right to see what I’m talking about – as the speeding car passes the truck, there’s a needlessly dangerous 20km/h speed differential. Traffic seems to flow better overseas in developed countries. It just does and anyone who has driver overseas will no doubt have noticed it. Simply put it takes a lot more cars to clog a 3-lane motorway than it does here. Further illustrating the ‘speed differential’ argument. If you are on a freeway and overtake a car doing 105km/h while you are doing 110km/h, it’s relatively straightforward. You slowly move past them even though there may only be a metre or s0 between the wing mirrors of the two cars. But would you be so comfortable cruising past a row of trees that close doing the same speed? Now, how about an argument for the current rules. Thinking hard, I can only come up with one… and that one is dubious too. There is less lane changing when drivers are allowed to sit in the niddle lane. Yes, I can see that in low-traffic scenarios (remember those?) – a car driver for example may just sit in the middle lane avoiding slow trucks etc in the left hand lane. However sooner or later, a faster driver will come up behind and be forced to change lanes tothe far right lane to overtake whereas with the strick keep left model, he may not have to. Also, the dangerous practice impatient drivers are ‘forced’ into of darting to to the left to undertake and then quickly scoot two lanes to the right to overtake the next two vehicles may mean that this isn’t the case after all. So, I’m still confused and still frustrated but should I be? Is this even an issue worth talking about? Let us know in the comments below if you agree or disagree. Car Industry Support: Who’s Right? It’s red face time at Holden, Toyota and Ford as it’s been revealed a secret report commissioned by Australia’s three remaining local car makers, intended to back their calls for extra funding, is contradicted by a report compiled by a company formed as a merger between the original company used and another. 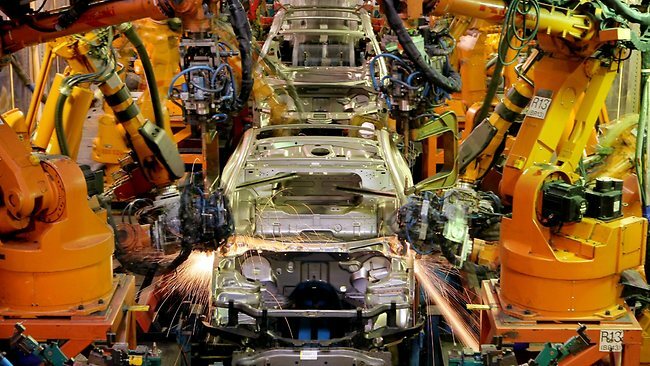 Allen Consulting Group was asked to look into how the automotive industry impacts here in Australia and found that a loss of $23 billion would hit the economy between 2018 and 2031 if all three closed shop, stating the loss would be far higher than the amount of funding supplied. Unfortunately for the companies, Allen Consulting merged with ACIL Tasman to form Allen ACIL and a report issued by them says that taxpayer backed funding should be withdrawn. It was stated that the support is effectively a tax on the rest of the economy whilst the more successful industries prop up the less successful. 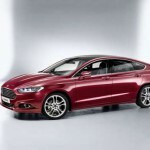 Initially released in April of this year, the three car makers have had to commission a revised report, after benching the initial one at a cost of around $100, 000 dollars, with the findings now expected for later this year. So it begs the question; who is right? Are our car makers truly in need of continuing funding in such a competitive market (it’s said there’s over sixty manufacturers available in Australia) or would it be better to cut the losses and have them as mainly import only? Next time you’re at the traffic lights, sneak a peek at your fellow drivers. To judge by their actions, most people seem to forget that when they’re sitting behind the wheel of a car, they’re in a bubble of glass and are visible to everyone around them, tinted glass notwithstanding. They behave as though they’re in solitude, blissful or otherwise. This has to be the reason why heaps of people decide that the traffic lights are the best place to practice a little nasal hygiene (i.e. pick their noses). And when you stop to think about it, most of us respect the privacy of other people and don’t go gawping in at the drivers around us, any more than we go peering through the neighbours windows. So maybe it’s best that we make the most of that little bit of semi-solitude in our days and find a way to make our commutes calmer. There are some obvious benefits to driving calmly. Obviously, you avoid road rage problems. However, if you are less aggressive as you drive, you tend to use less petrol and create less wear and tear on all the moving parts. Not to mention what being aggressive and impatient does to you. 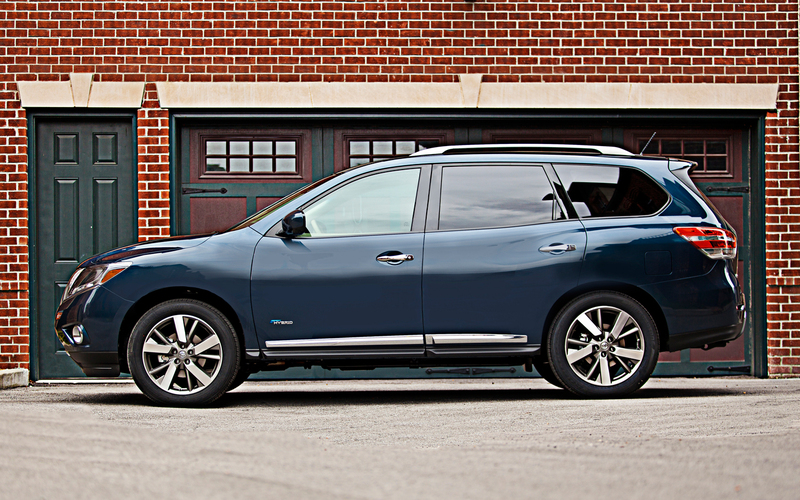 Don’t feel like you have to have the navigation system on all the time. Save it for when you need it. You probably know the way to work by now, don’t you? The fewer voices, beeps and buzzes you have in your environment competing for your attention, the better for you (and you’ll probably drive more safely into the bargain). Keep a few healthy nibbles and drinks in your car. Cupholders don’t just fit coffee cups – they fit most hand-held receptacles. Instead of picking up yet another adrenaline-stimulating coffee, why not throw a bottle of fruit juice into the drink holder? Also have a selection of healthy nibbles to snack on as you drive, especially if you have a long commute at the end of the day and are likely to have flagging blood sugar levels in the evening. Chilled glove compartments or consoles are designed for storing chocolate on hot days, aren’t they? 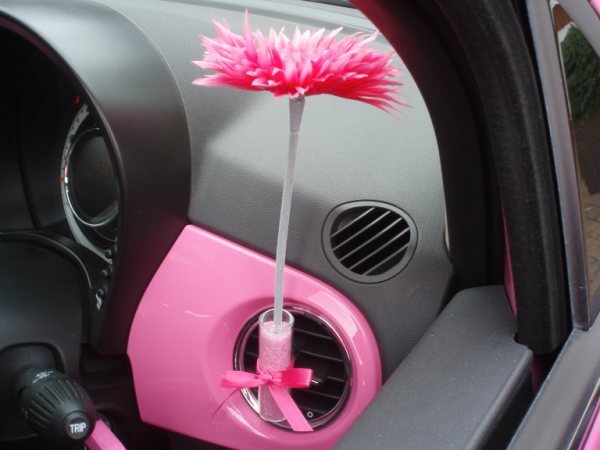 Make the inside of your car attractive. It’s a pity more car manufacturers haven’t taken a leaf out of the VW Beetle and provided a little bud vase for flowers. Pick your sounds with care. Sometimes, the radio with endless doom and gloom in the news is the last thing you want. Choose a playlist to suit your mood (e.g. energetic, lively music in the morning when you want to energize yourself; calm chill-out sounds in the evening). And don’t forget audio books, which can turn a long wait at the lights a chance to hear a bit more of the story. 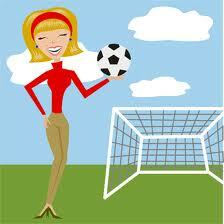 Use essential oils – lavender is calming and antiseptic. Make your own car fragrance from lavender oil, white vinegar and water, or blend lavender oil with some regular oil and use it to wipe down the dashboard and steering wheel. If you use a strong enough concentration of oil (e.g. 20 drops to ½ a cup of oil), you’ll also disinfect the bits you touch at the same time. It’s a sad offset of our current pre-election situation that neither side really actually appear to be truly interested in helping Holden and Toyota continue whilst also easing Ford’s slide into full importation. There’s already automotive unrest with one major Sydney based dealer advertising cars once intended for fleet buyers being made available for the private buyer at fleet prices while the Australian Salary Packaging Industry Association is also hitting out with online ads asking “who’s next”. There are some that claim the changes are good for the industry, which may be all well and good but the effects are tangible already with real and confirmed job cuts. With our economy at a standstill, pretty much pending the result of September 7, Aussie families don’t need this extra burden. 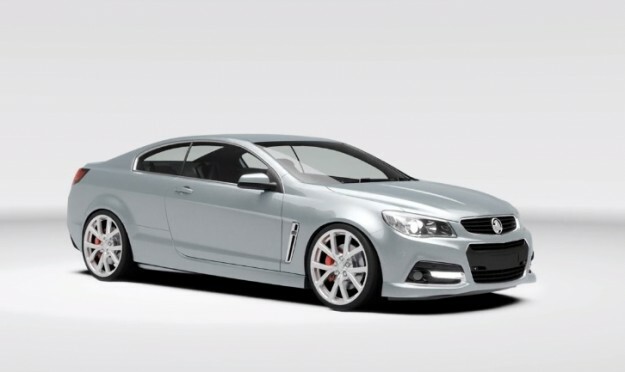 On a lighter note somewhat, a couple of Holden designers have been beavering away behind the scenes on what could be a new Monaro. Based on a combination of VE and VF smarts, it’s a design study, at this stage and highly unlikely to see real world production. So there you are, stopping off at the petrol station to top up the tank of your good old family Toyota . Like most people, you’ll roll your eyes at the amount that whizzes up on the bowser and remember back in the Good Old Days (I must be getting near middle age if I’m starting to use that phrase) when filling up the tank didn’t cost nearly as much as half a week’s groceries… which is only a slight exaggeration. Diesel: Mexico, USA, New Zealand (although the Kiwis clap a whopping big tax on diesel). The moral here seems to be that driving the way they do in American movies is a really bad idea. 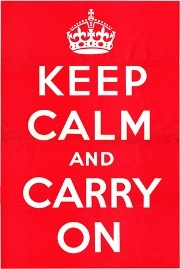 And spare a wee thought for our trans-Tasman rivals. At one point this year, their government was considering increasing the per-litre tax clapped on petrol on the grounds that the public had changed their fuel consumption habits (buying cars with smaller engines like Suzuki Swifts or looking out for hybrid vehicles like the Nissan LEAF, etc.) and The Powers That Be weren’t getting enough revenue from petrol tax as a result. Not sure if this bit of lunacy went through or not in the end – lobby groups didn’t half kick up a stink – but here’s hoping that our government won’t get funny ideas as well. Moments in history happen once. Invariably the huge majority slide on by with no impact on humanity but occasionally they leave an indelible mark. In 1961, just as the “Swinging 60s” was just getting into stride, a British automobile manufacturer released upon an unsuspecting motoring public a gem called “the most beautiful car in the world”, by Enzo Ferrari, no less. 13 years and 70 odd thousand builds later the E-Type Jaguar is still regarded as one of the most beautiful cars ever made, leaving its imprint upon history. Powered, initially, by a 3.8L straight six and from 1964 the snarling 4.2L, the E-Type shocked other makers and remains a sought after item. Come 2012 and Jaguar, after a few years under the ownership of Indian based conglomerate Tata, release the much anticipated successor at the Paris Motor Show. Immediately the F-Type stirs emotions, has Jaguarphiles prostrating themselves in ecstasy and rattles the cages of Mercedes-Benz, BMW and Porsche. In August of 2013, Jaguar Australia hosts the launch of this spiritually moving car. Three engines: There’s two supercharged V6, both of three litres capacity. A snorting, angry, growling supercharged five litre V8 is your other choice and aurally, it’s hard to decide; banshee scream or basso profundo. An interior that’s for two and two only. Seats that are for drivers, drivers of a certain size as they’re hip hugging snug. Looks that would put Jennifer Hawkins into a tizzy and frighten mirrors for not being able to live up to what they see. A folding roof that goes up quicker than a bank’s interest rate and down quicker than a farmer’s beer on a hot day. This is the Jaguar F-Type. The Australian launch was in Sydney, starting with a product overview on a Thursday night. Friday was drive day; heading north from Sydney, looping through some tight and twisty roads before directions took us to Cessnock then back south for some private tuition before a return to the big smoke. It was impressed upon us to listen to the exhaust; a deliberate effort from the design and engineering teams to give the ears something delightful and they succeeded. A rasping crackle comes from the centrally mounted pipes as the eight speed auto blips its way through the gears; a down shift and a foot off the go pedal elicits a smile as the snarling, raspy sound reverberates off tunnel walls. An upshift is completed in less time it takes to think about it, a computer instructs the engine to match revs on both the up and downwards journey through the gears and with eight closely stacked ratios it provides flexibility and exquisite driveability. Another computer reads the driver’s style, conversing with the gearbox to decide which one of 25 programmes to use to ensure the right gear is right to go. 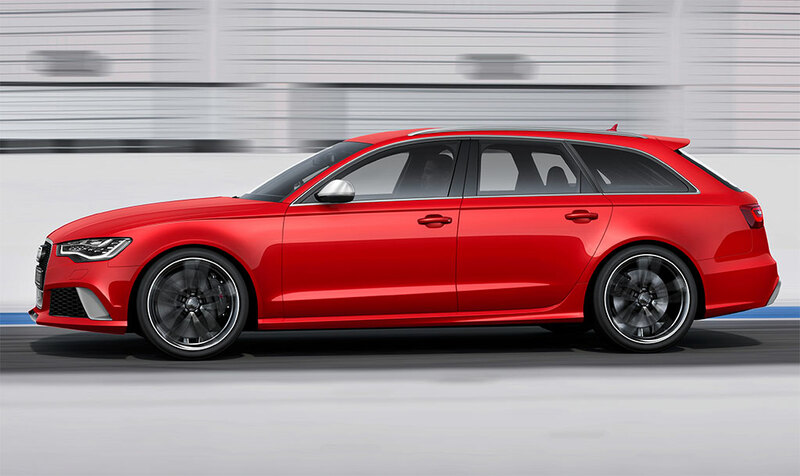 The S models utilise more smarts, with sensors measuring steering wheel input, body movement, pitch and roll, tuning each suspension damper to give that razor sharp precision such a car deserves. On the road it’s breathtaking to look at, inside and out; breathtaking to drive and awesomely beautiful to look at. The aluminuim construction reduces weight (a maximum of 1665kg for the V8S), provides stiffness and adds strength to the F-Type. The suspension is taut, talkative, communicating the road to the driver. Acceleration is rapid, as you’d expect from three powerful (250/280kW or 364kW) Jaguar engines and braking is inspiring, in the weight of the pedal and lack of squirm from the car.This is partly down to the breadth of the F-Type, with 1597mm and 1649mm track for the V6 twins and slightly narrower (1585/1627) for the V8S. Fat rubber across the board on the 18/19/20 inch rims provides superlative searching grip, allowing the F-Type to power into tight turns, off camber corners as if attached on velcro, all the time caressing the ears with that superb soundtrack as a wing arises majestically from the rear deck at around 90 kilometres per hour. The interior of the F-Type is akin to pulling on well fitted boots, with wrap around, snug seating holding the driver and passenger like a lover’s embrace, facing minimalistic yet effective switchgear and a cabin inspired by a Typhoon fighter jet. Unlike its brethren, there’s no rising from the console of a gear selector, instead there’s a multipurpose gear lever; aircon vents rise from the dash with a monolithic grace. The dash dials are LCD based, with rapid response and glowing good looks. There’s a Meridian sound system on board, superfluous thanks to that awesome exhaust note. Seating is low down yet never lacks for 360 degree vision, whilst those on the outside see what Jaguar is all about: grace, space and pace. Ranging from $139K to $208K, the Jaguar F-Type takes the fight up to its rivals from Germany while simultaneously becoming part of history. Remade. 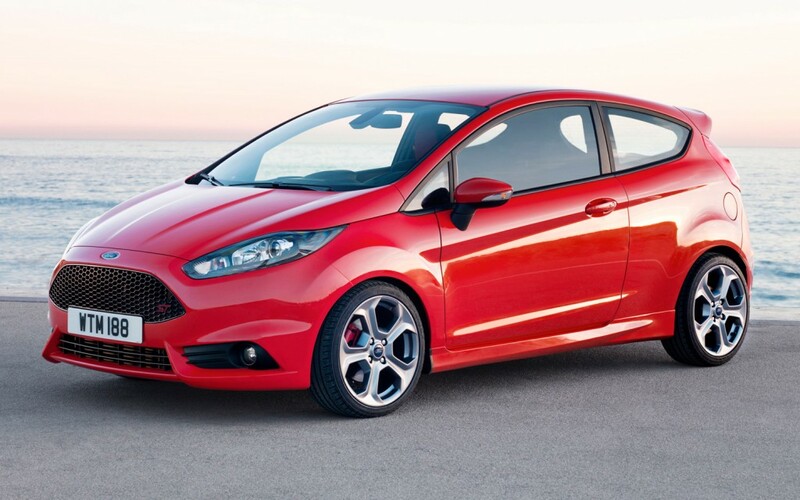 It’s tough times in the Australian automotive manufacturing field; Ford is looking to go out with a bang locally and Holden workers confirm a pay freeze to try and help extend the Adelaide based operations lifespan. 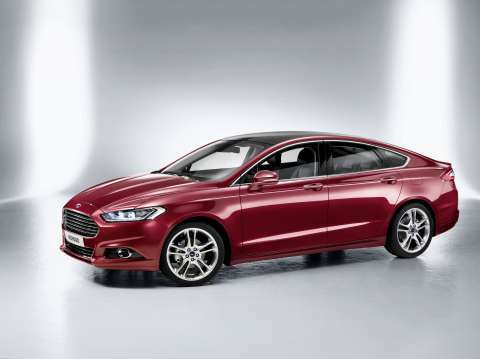 Staying with the tech theme, the 2014 arrival of Mondeo sees inflatable seatbelts for rear passengers; on impact the belts inflate and cover five times more surface area on a body than conventional seatbelts, reducing physical trauma. 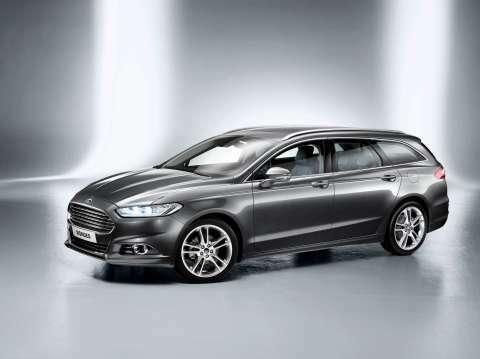 Ford also continues with the Mondeo station wagon, a criminally underrated segment in Australia with the seemingly almost unstoppable surge towards SUVs, with a redesign offering better interior packaging plus a reintroduction of the hatchback, with a slim and aerodynamic look. 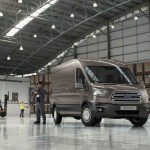 Ford’s commercial buyers will also be looked after with an update to the venerable Transit range also on stream. 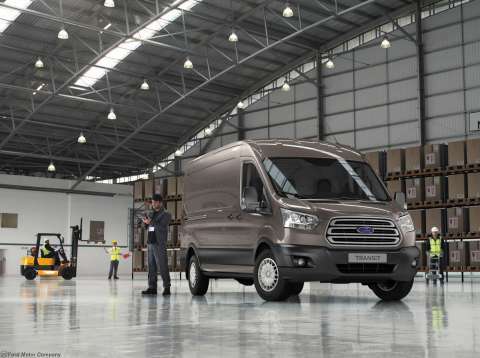 With seven million sold since 1965 it remains one of Ford’s most successful commercially oriented vehicles and for 2014 the range cops a substantial reskinning with two distinct looks, the Cargo and Custom, being set to roll into businesses next year. The Cargo will come with a variety of body shapes and will also a 12 seater bus variant. 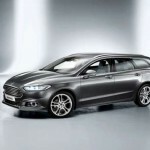 In regards to Ford Australia’s oldest nameplate, the Falcon, that will be retired when Ford Oz ceases local building and full details of what the big car will feature and look like are yet to be confirmed. For the red lion brand, it’s confirmed now that workers at the Elizabeth, South Australia, plant have backed a wage freeze and will help contribute a saving of $15 million, adding to the struggling makers push to stay local past 2020. Holden has been in talks with both the current Federal government and the Opposition in order to source more funding, which in some circles has been decried as a blatant exercise in corporate hostage taking. 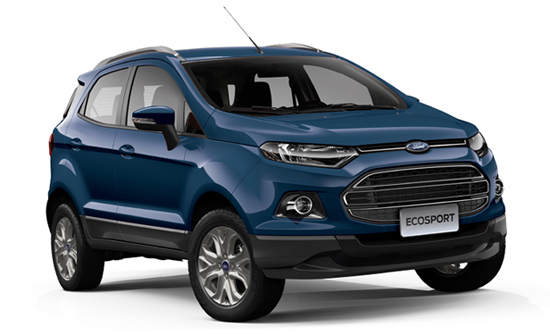 What’s overlooked is the knock on effect, already felt in third and fourth party supply circles after Ford’s announcement, with other manufacturing streams largely reliant on the auto industry. Australian Manufacturing Workers Union state secretary John Camillo said Holden’s Adelaide workforce had voted to help save not only Holden but the wider car component sector.”It was a tough choice, but they made the right decision,” an emotional Mr Camillo told reporters. He said the onus was now on the federal government and the opposition to declare their support for the company to ensure Holden pushes ahead with a $1 billion investment to build two new cars in Australia from 2016. Holden will now delay its decision on local manufacturing until the September 7 Federal election is concluded and will restart talks with whomever becomes the government. There are still a number of exciting new models to come in 2013, and for car fans, like me, this is always going to be great news worthy of investigation. 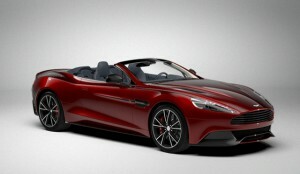 Keep your eyes out for Aston Martin’s new Vanquish Volante. 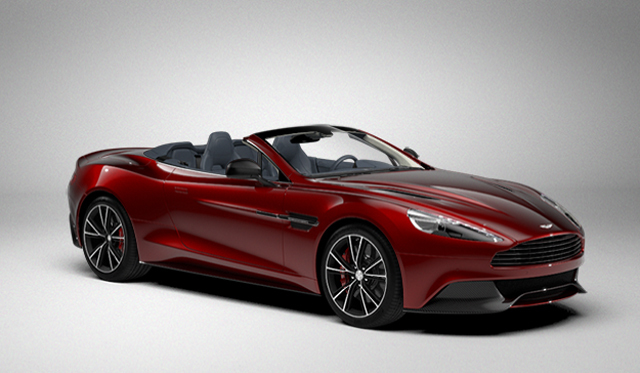 If you are into James Bond style cars, the open top Volante will be a hit. This should arrive at the end of the year. 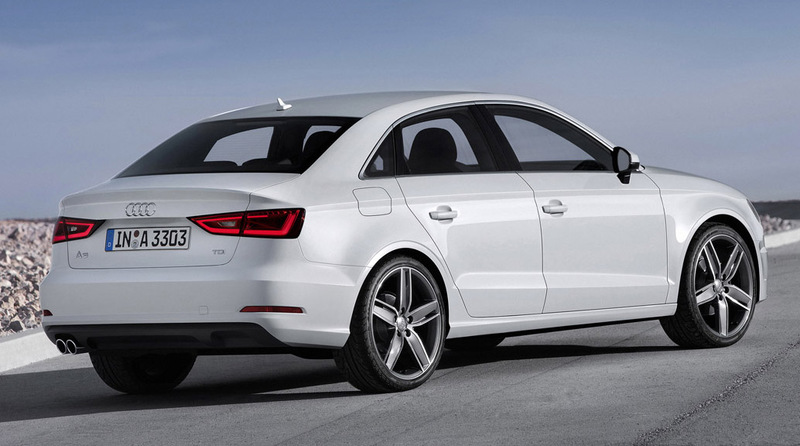 Audi’s new S3 will heat some rubber in both hatch and sedan form. 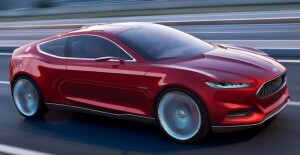 The sedan will be able to take on the BMW 1-Series M Coupe. Also to arrive in Australia shortly will be the very quick Audi RS6 Avant. The 0-100 km/h sprint should be cut down to under four seconds. BMW’s 3-Series GT is just around the corner, as is the newly designed X5. Maybe the highlight for most BMW fans will be the updated Z4 Roadster – a great handling package with plenty of power. 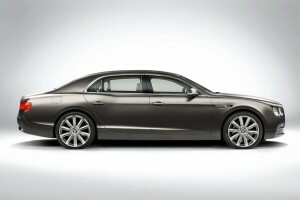 For those who can afford it, the Bentley Flying Spur with a twelve-cylinder engine will grace our roads shortly. Fiat’s new Grande Punto and tiny Panda models are due in Australia later this year. 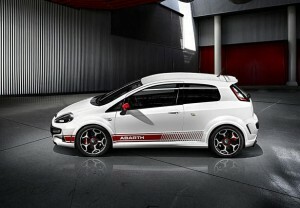 For the performance nuts, the ankle biting Fiat Abarth Punto Evo Supersport packs a nippy 132kW. 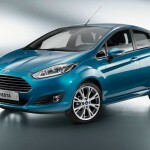 Ford‘s entire Fiesta range gets a facelift, including the feisty new turbo-charged Fiesta ST. One other very interesting addition for the Blue Oval is the cleverly designed Ford Ecosport SUV, due at the end of the year. 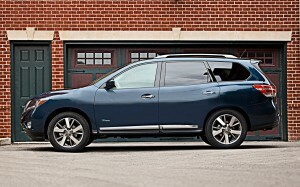 The small SUV shape is a very tidy-looking little machine that rides high and is very efficient. 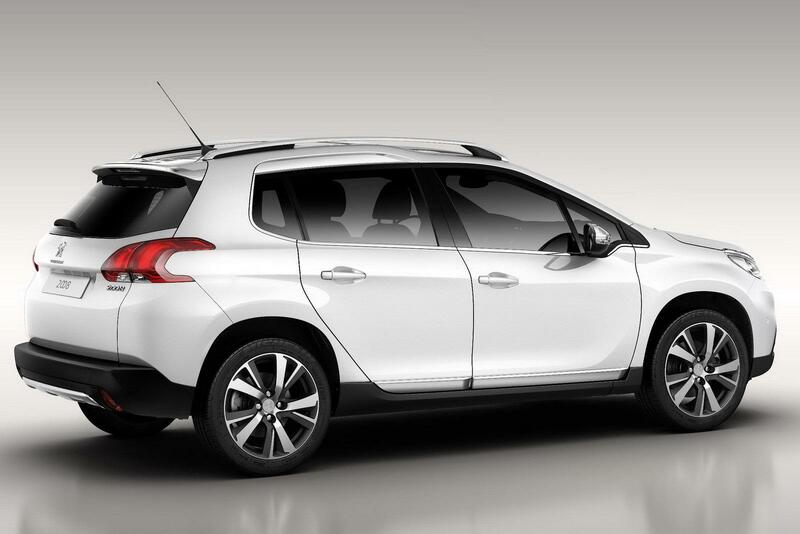 Holden has their Trax due shortly – see Private Fleet review. 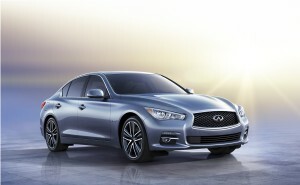 Watch out for the stylish Infiniti Q50 Sedan. 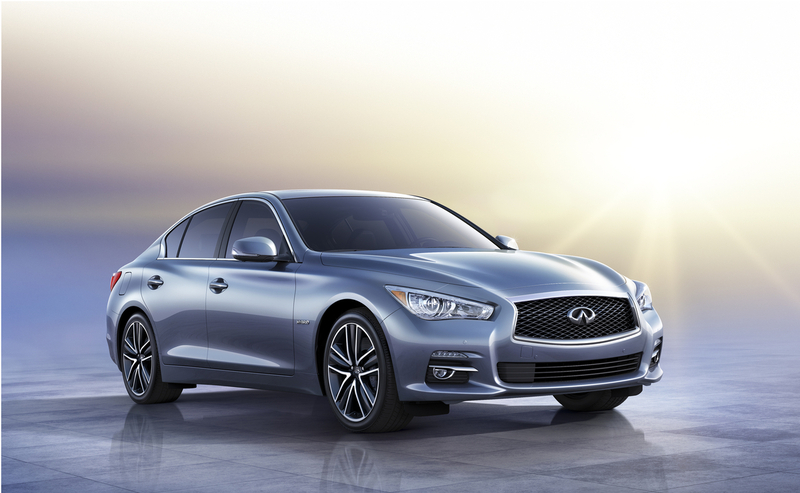 Deceptively quick and luxurious, you’ll need to be quick to get your hands on one of these top models from the recently introduced Infiniti brand. 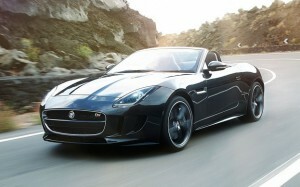 One of the most exciting cars that is arriving in the next few months is one from Jaguar: the new F-Type Roadster. Deemed to be a great handler and in the same league as a Porsche 911, this one’s got acceleration times of between 4-to-5 seconds from 0-100 km/h – depending on your choice of engine. The V8-S runs up to a maximum speed of 300 km/h. Jeep is looking good with the launch of its revised Grand Cherokee range in Australia. Lexus has their gorgeous new IS models. 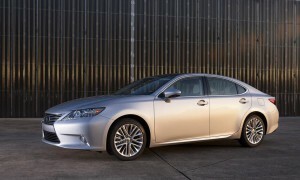 Check out our review on the range of Lexus IS variants. What a great car, with performance to match the looks and luxury, not to be outdone by its little brother, the large Lexus ES Sedan is due later this year. Maserati has their new Quattroporte sedan for sale in Australia. Expect plenty of get-up-and-go from turbocharged V6 and V8 engines. Mercedes Benz has just a few new entrants. The big S-Class luxury sedan will launch toward the end of the year in Australia. However, you’ll notice the classy small CLA four-door coupe on our roads now – take a look at our review. Nissan’s quirky new Juke Crossover is sure to be a hit with the ladies (and the gents), while Nissan provide the off-road fraternity with a nice looking new Pathfinder. Peugeot have their showy new 2008 SUV available at the end of the year. Expect a frugal diesel to get the job done. Jag’s F-Type has obviously been watched by the class leading Porsche brand, as the Germans have got their act together and come up with the new 911 range, which includes the GT3 and 911 Turbo. Back to the small hatchbacks… Renault provide their Nissan-collaborated Clio range at the end of the year. The quick RS is sure to be great entertainment value. Not a new motorbike this time, but a brand new SX4 SUV will be promised to the buyer on the lookout for new Suzuki cars. It should be here before the end of 2013. Lastly, Volvo will have all of their new range ( XC60, S60 and V60 vehicles) in Australia by the end of the year. All-in-all, this is a range of cars (budget-priced to expensive) that keep the interest levels high enough for the new car enthusiast. 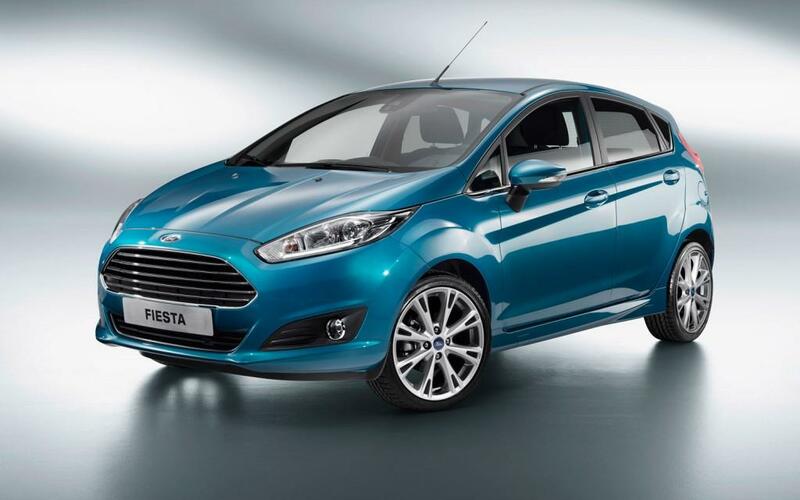 It has been a quieter year, as last year there were a huge number of products rolled out by many of the big names in car brands. Next year looks busy. On The Road: the New Volvo Driver Is…..
As a freelance vehicle reviewer, amongst other things, I spend a fair bit of time on the road. As a driver safety and education promoter, I look at the habits of other drivers because, as a good driver, you should always be watching what’s going on around you. There’s plenty of non indication; swapping of lanes all of a sudden, without planning the merge; the usual colour blind drivers that believe red is green and so on. What stands out, for me, is how often it seems to be the same “kind” of person that is involved in situations such as these. I’d say, by now, we’ve all heard the term “soccer mums”; these are the mothers that transport their and other kids around in a people mover vehicle, invariably a 4WD vehicle and invariably it’s a Prado. On the long but dead end road on which I live is both a high school (at the end of the road and therefore truly bad council decision making) and a child care, both bringing plenty of traffic morning and afternoon. The majority of vehicle are SUVs along the lines of Prados and Volvo XC90s (ironically) with a few station wagons for good measure. The ones that consistently exceed the 50kmh posted limit are consistently the soccer mum driven SUVs. When it comes to freeway driving and the failure to indicate, more often than not it’s two distinct groups; the P plater driver (who clearly should know better) or drivers over (roughly) 55. The quick mergers tend to be across the board. Social media chatter is a great source; each state claims they have the worst drivers due to xyz factors, which, to me, indicates a systemic failure of driver instruction Australia wide, especially at the P plate level. Sure, there’s a measure of personal responsibility that needs to be taken, responsibility that could be said to have been reduced as a safety factor thanks to the almost singular focus on speeding as a breach of road safety, plus an understandable frustration with poor road design and surfaces, however there’s a correlation between styles of driving and those that make the errors. 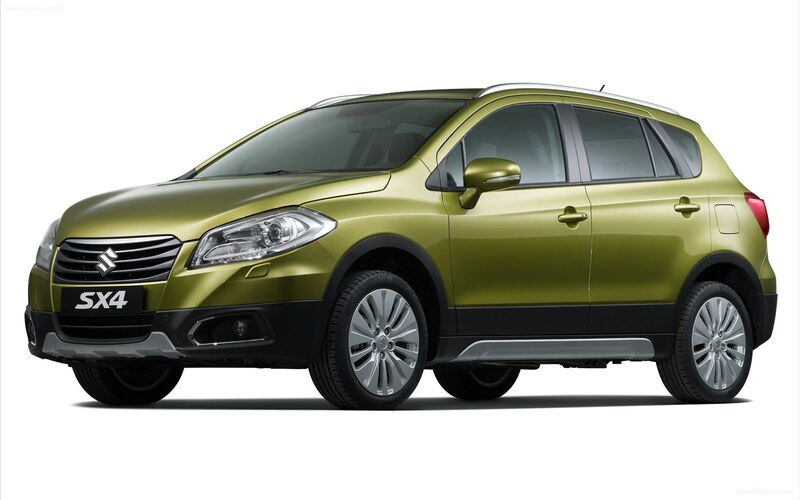 When it comes to the new Volvo drivers, my personal opinion is it’s those that drive SUVs and, as a general rule, it’s the soccer mums. And that’s worrying because of the cargo they carry: children.